Discover fun and exciting ways to cultivate sound business practices and skills through Improvisation. 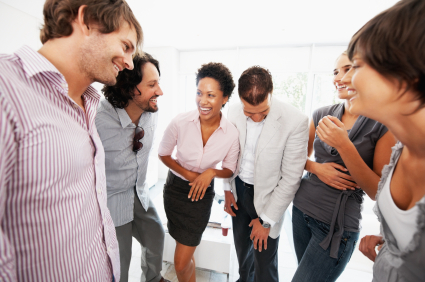 Improv is a great way to kick off a meeting or end with a bang. Treat employees to an unforgettable experience where they can where they can learn to trust one another, build confidence, turn conflict into opportunities and unleash creativity to solve problems. With Corporate Improv, we can teach any number of general business topics or skills, or customize a workshop to meet your specific needs. I can lead a workshop onsite or at The Box Theater at your convenience. Business improv-ment has never been this much fun! Below is a sample of workshops we offer. Set up your corporate workshop today! The Power of Yes And!